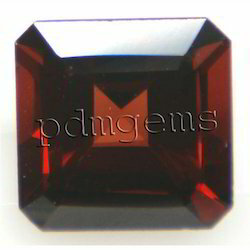 We are the renowned manufacturers of Garnet Gemstones from India. 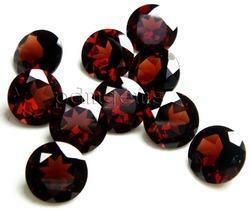 The lucky stone for people born in January or Capricorn is Garnet - the carrier of faith and truth. The stone is also desiccated to 2nd and 6th marriage anniversary. 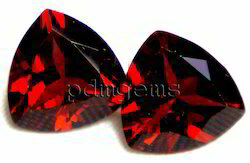 Garnets do possess high indices of refraction, are hard enough, have pretty colors, are wonderfully transparent, lack cleavage and are durable; thus making good candidates for gemstones. 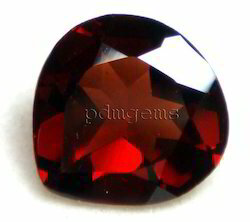 However, many people consider garnets to be inferior to other colored gems. This may be due to garnet's relative abundance and widespread use, and therefore a (typically) low price. The Garnet is a stone of purity and truth as well as a symbol of love and compassion. This sparkling crystal is not only favored for its exceptional beauty, but also for the mystical significances it has. Existence of this legendary gem can be traced back to the times as 3100 BC, when garnet used to be a part of the ancient Egyptians and Sumerians’ jewelry. 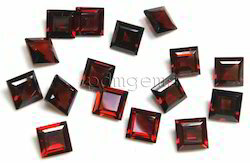 Warriors of the medieval times believed that garnet protected them from wounds in battles and also brought victory. Garnets are greatly variable in colors and varieties, though, and many of these are both rare and beautiful, producing genuinely precious gemstones. Some garnets are truly unique in the mineral kingdom and have much to offer as both gemstones and mineral specimens. The Red Garnets were the most commonly used gemstones in the Late Antique Roman world, and the Migration Period art of the "barbarian" peoples who took over the territory of the Western Empire till now. 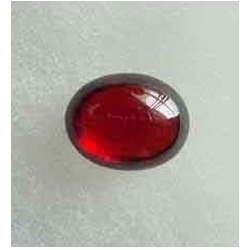 The Garnet is also known as the stone for stimulating success in business. It helps protect one on trips. Garnets bring constancy to friendships. 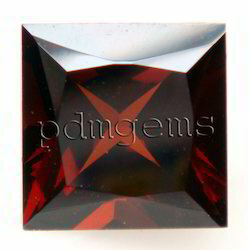 Garnet was also known for its curative powers. It had been used as medicine for treating diseases like hemorrhage, fever and inflammatory problems. Again, for some garnet help relieve depressions, while others believed it’s a wonderful drug to prevent nightmares. No matter what where it’s medicinal powers, Garnet today signifies happiness, loyalty and enduring love. 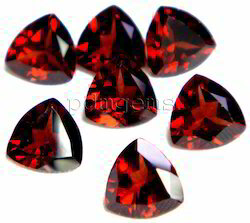 Today garnets are in great demand and are often found in jewelry pieces. 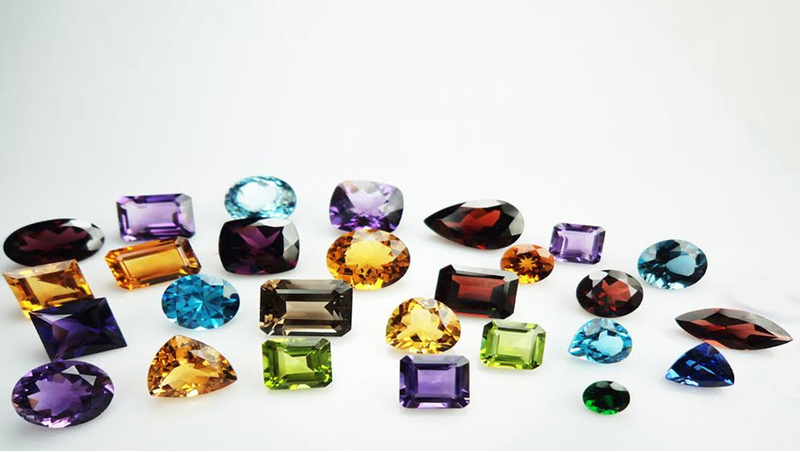 Apart from its traditional colors blue, green and red, the intermediate shades and hues of this stone are also ‘favorite’ among Gem lovers. 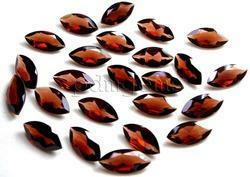 Currently, the world's largest supply of garnets is the continent of Africa. 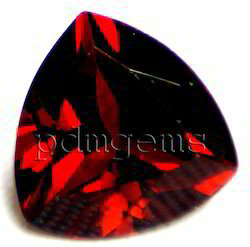 Other sources of garnet include India, Soviet Union, Brazil and the United States. 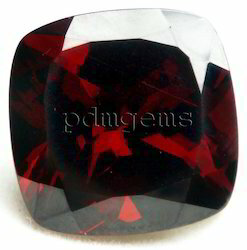 We at PDM Gems take care all of your needs in Garnet from small to big sizes and also to cut a piece according to your design from our raw material stock. All shapes like Oval, Round, Pear, Heart, Octagon, Square, Marquise, Cushion, Trillion, Triangle, Briolette and Teardrop from our ready stock in different facet styles like Diamond Cut, Concave Cut, Checker Cut, Rose Cut, Asscher Cut, Princess Cut, Radiant Cut, Scissor Cut etc. as well as Cabochons. Please contact us for price and availability of your needs.